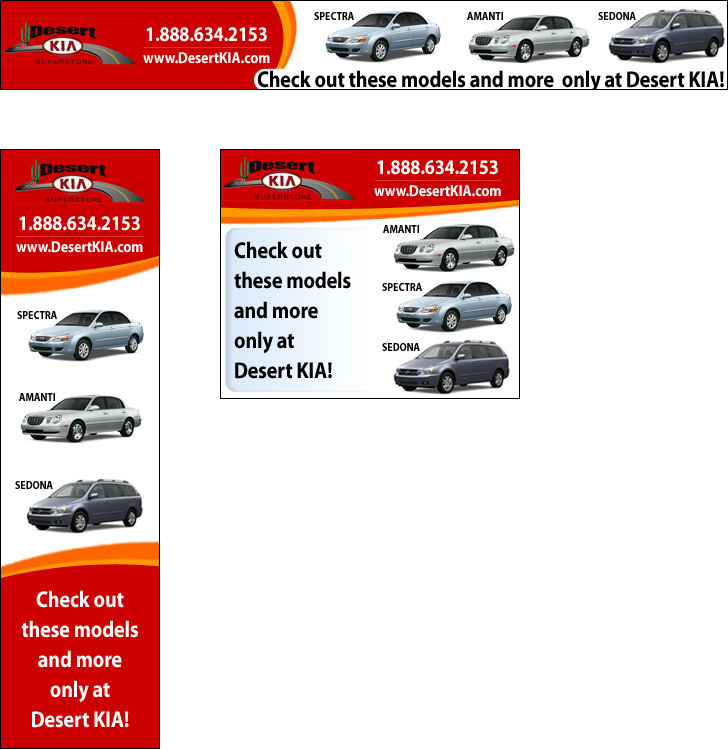 For this project, I was asked to design a family of banner ads for Desert Kia. The goal was to promote their new car inventory and gain brand recognition in the Tucson market. The ads were placed in the Autos section of the Arizona Daily Star and Tucson Citizen websites.